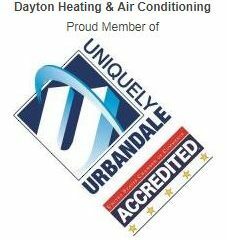 Dayton Heating & Air Conditioning is proud to be staffed with highly trained furnace repair technicians that have the expertise and skills to maintain, diagnose and repair problems with your furnace and entire heating system. We'll get you an appointment quickly so you can be comfortable in your home! IF IT'S FREEZING OUTSIDE AND YOU HAVE NO HEAT, CALL US AT 515-278-1721 ANYTIME, DAY OR NIGHT. Our vans are stocked with hundreds of parts so we're able to repair most furnaces right away. We want to make sure your system is up and running so that you and your family are safe and warm. If you determine that a furnace repair is not cost effective because of age and/or poor efficiency, we will analyze your home comfort needs and suggest furnace replacement options that are best for your home. 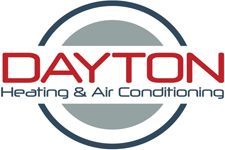 Our first priority is our clients, and you can count on Dayton Heating & Air Conditioning to keep your home warm during the cold Iowa winters! We repair furnaces in the Des Moines and surrounding areas including: Urbandale, Des Moines, Johnston, Adel, Ankeny, Altoona, Bondurant, Carlisle, Clive, Colfax, Dallas Center, Granger, Grimes, Indianola, Mitchellville, New Virginia, Norwalk, Panora, Pleasant Hill, Polk City, St. Charles, Waukee, West Des Moines, Windsor Heights and more!